Last year I've read and loved Faking Normal by Courtney C. Stevens, even though it wasn't an easy story, so I immediately knew that I would read any and all books she's going to put out. The Lies About Truth sounds amazing and the cover is stunning so I cannot wait to finally read it and see it standing on my shelf. 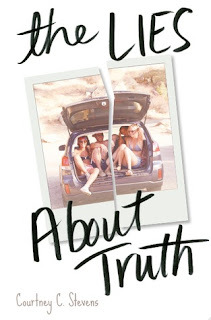 Courtney is an amazing author so I'm positive that this book will be just as good as Faking Normal.